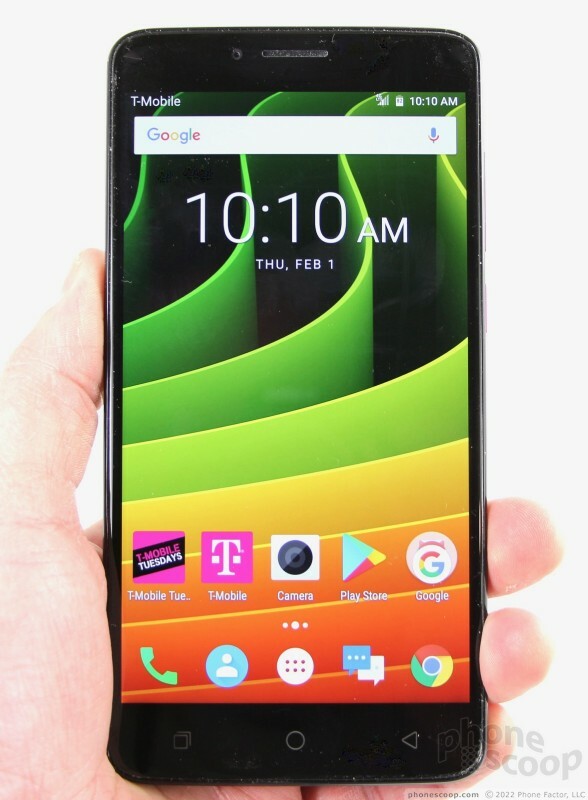 The Revvl Plus is an affordable Android slab that delivers an enormous screen at a reasonable price point. Stand-out features include a dual-camera system for capturing bokeh-style portraits, and a fingerprint reader for security. Here is Phone Scoop's in-depth report. 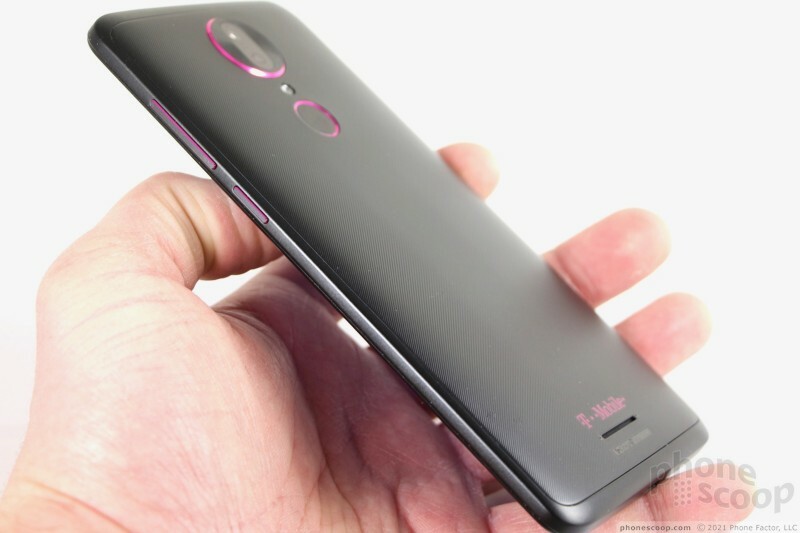 If you like 'em big and like 'em cheap, the T-Mobile Revvl Plus, made by Coolpad, may be an enticing option from the Un-carrier. 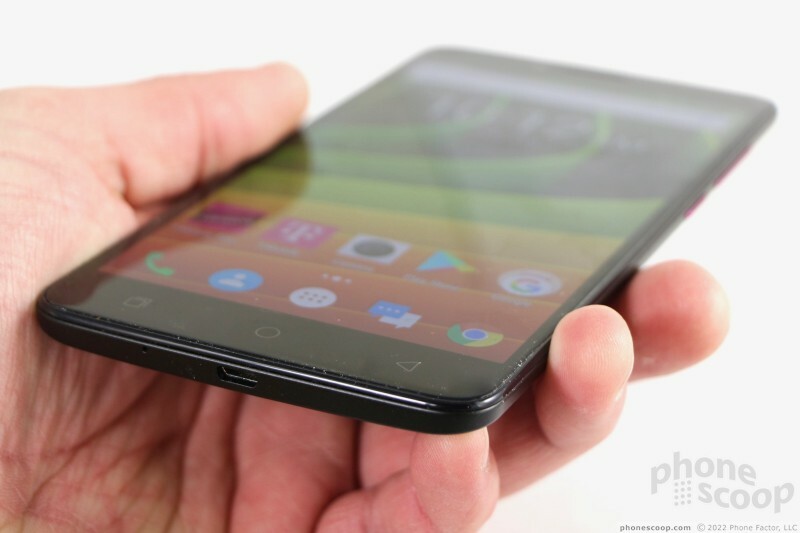 This phone boasts a huge 6-inch screen, a large battery, and a low price point. 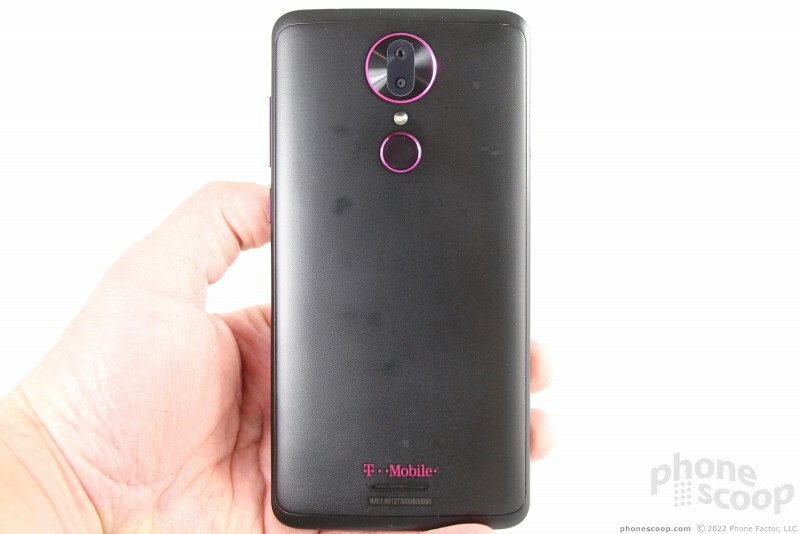 Here's the skinny on this jumbo phone for Magenta. Phone makers have spent the last year increasing the screen size of their devices while reducing the overall footprint through the adoption of bezel-less designs. Coolpad's not there yet. The Revvl Plus bucks those trends with a huge screen and massive footprint. 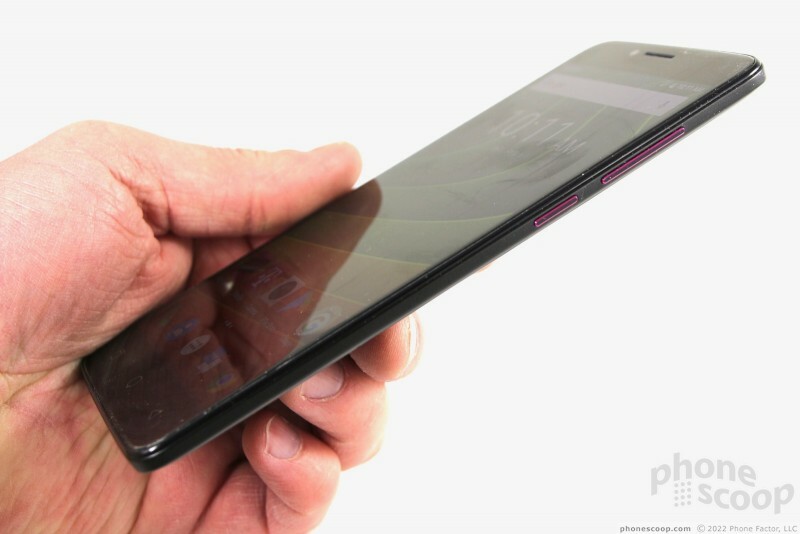 It's a super-sized slab that dwarfs most other phones in the market. 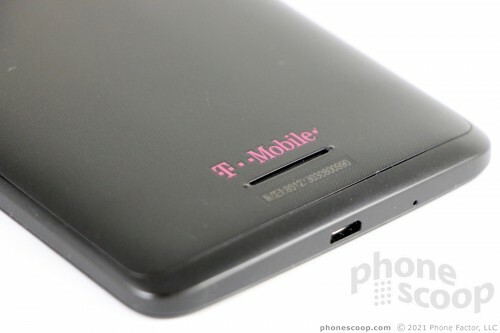 There's no mistaking that this phone is for T-Mobile. 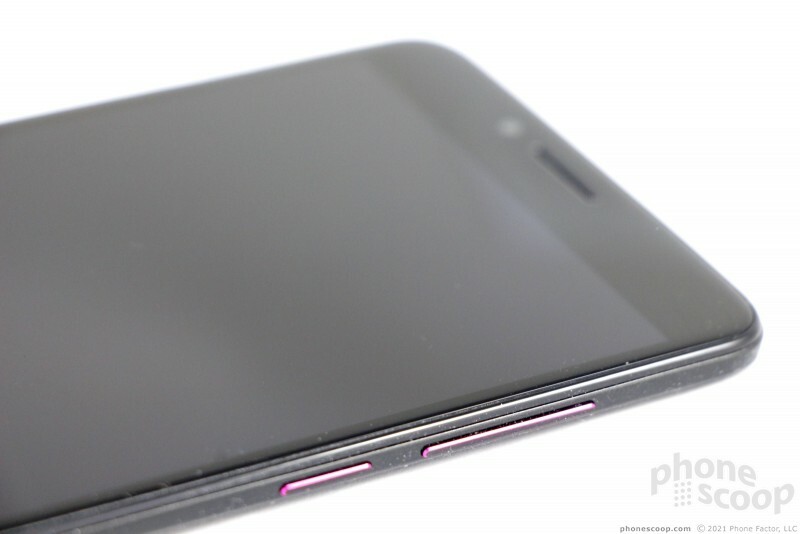 The Revvl Plus is a black slate with shiny magenta accents. 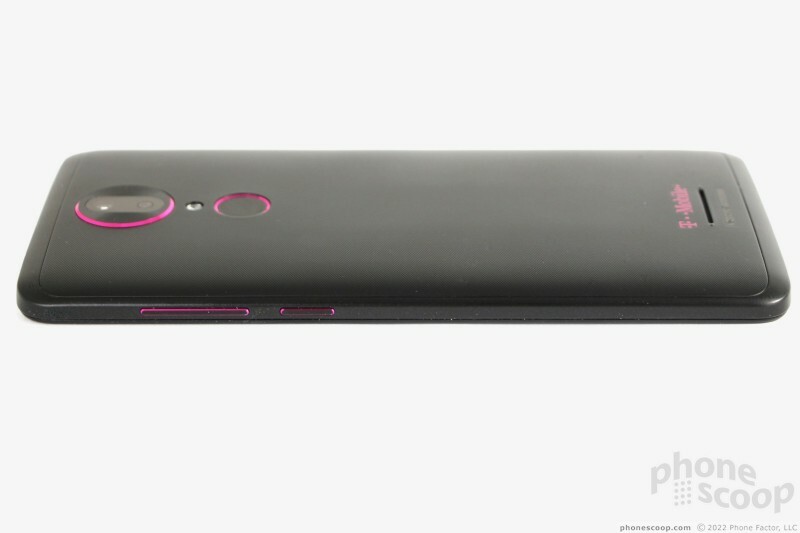 Other than the dash of pink, the phone is simple in its design. 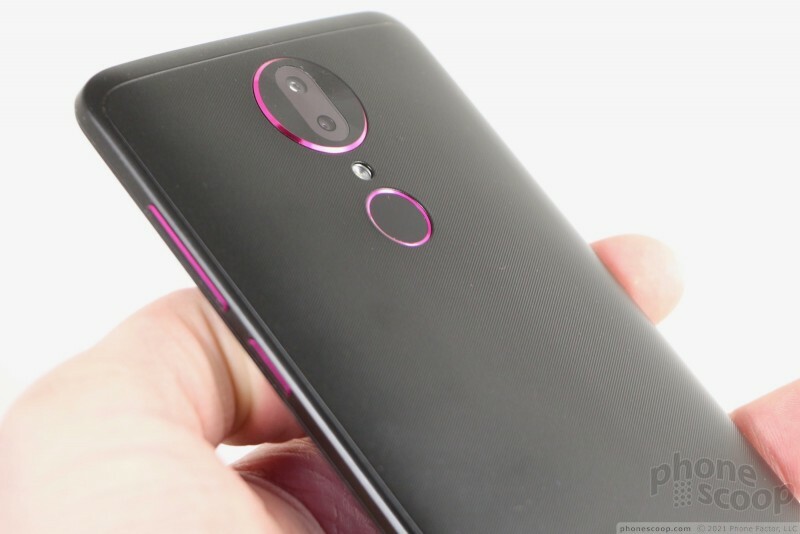 It includes a glass front, polycarbonate frame, and plastic rear panel. 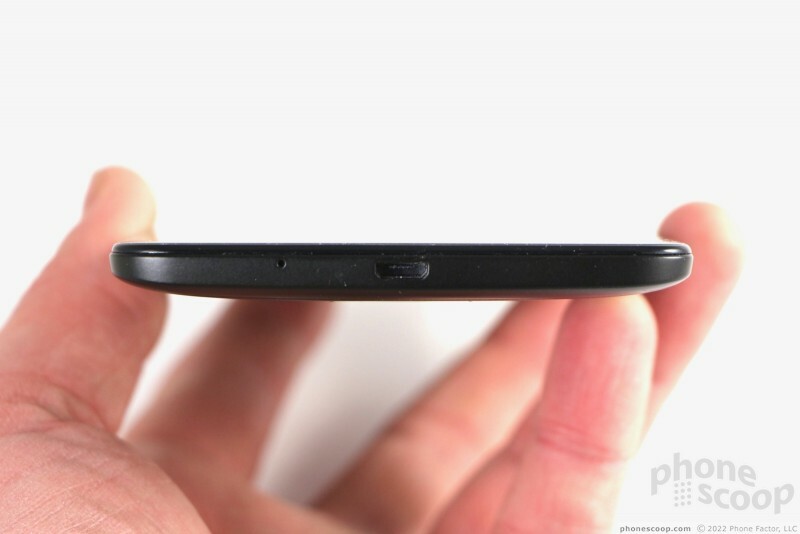 Coolpad gave the phone soft corners and was sure to curve the rear surface a bit to help with hand fit. Where the front is shiny, the sides and rear are matte in their finish. 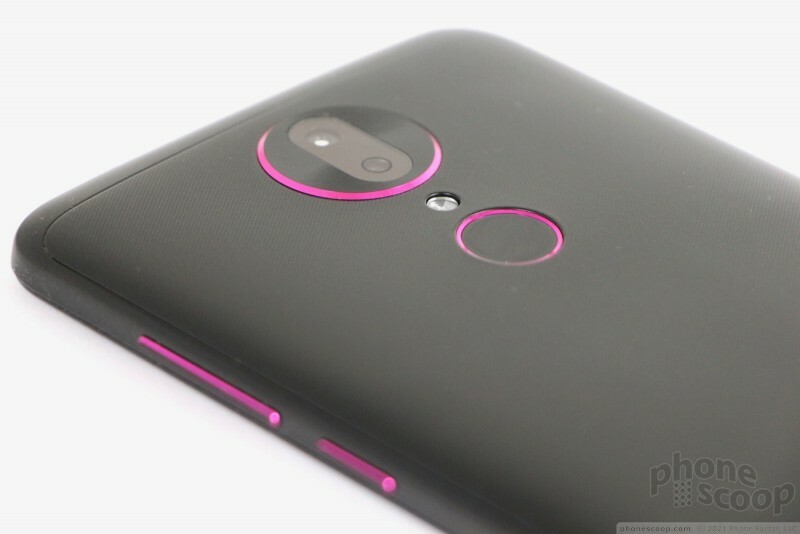 The magenta accents help break things up a bit and give the phone a small amount of character, though I would understand if some found the pink off-putting. The Revvl Plus stands 6.5 inches tall and sits 3.25 inches wide. It's hard to overstate just how big it is. 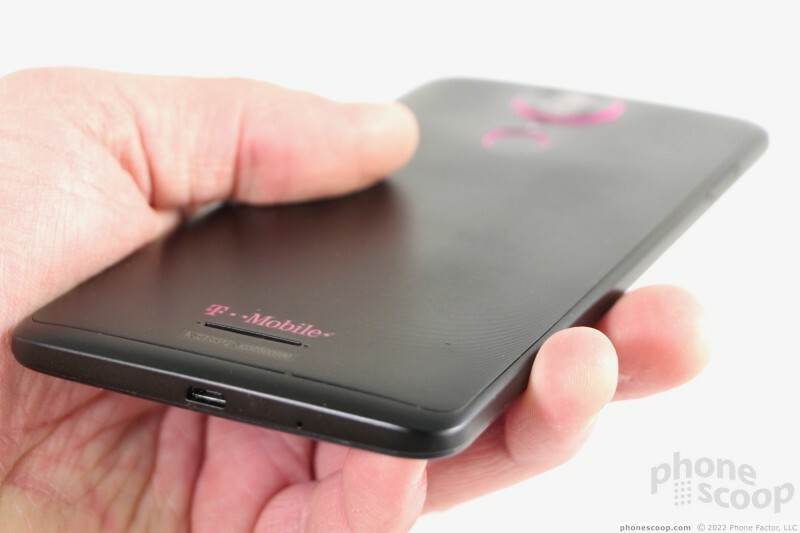 The width is the killer dimension, as anything over about 3 inches begins to impact usability. I cannot wrap my hand all the way around this phone. Many people will find this device just too big for them. You have to really value the screen real estate over everything else to select this phone. 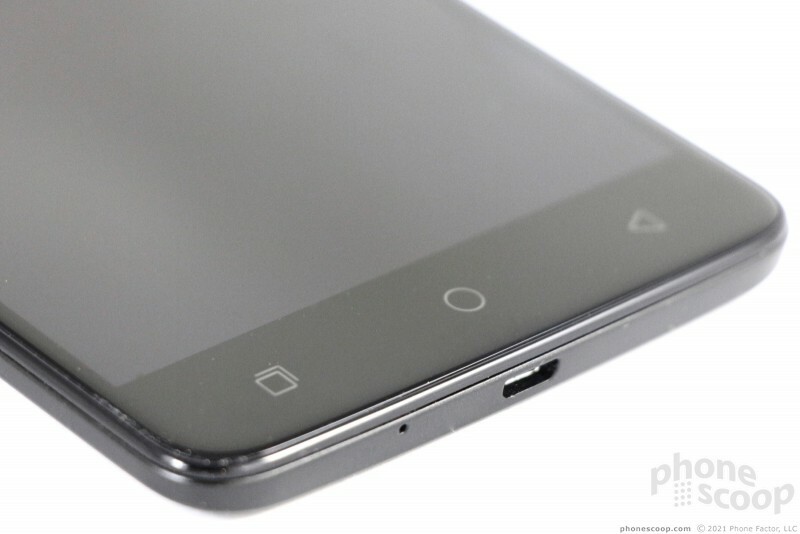 Coolpad kept the thickness (8.6mm) in check, and the rounded corners and curved rear do help a little bit. I was able to fit the phone into jeans and coat pockets and yet it always made its presence known. I found sitting down with the phone in my pocket to be uncomfortable. It's not for the faint of heart. Materials and build quality are good for a handset at this price point. The glass panel looks and feels good, as does the frame and rear covering. The components are fitted together tightly and there are no gaps in the seams. The phone doesn't come across as cheap or inexpensive at all, and that's a good thing. 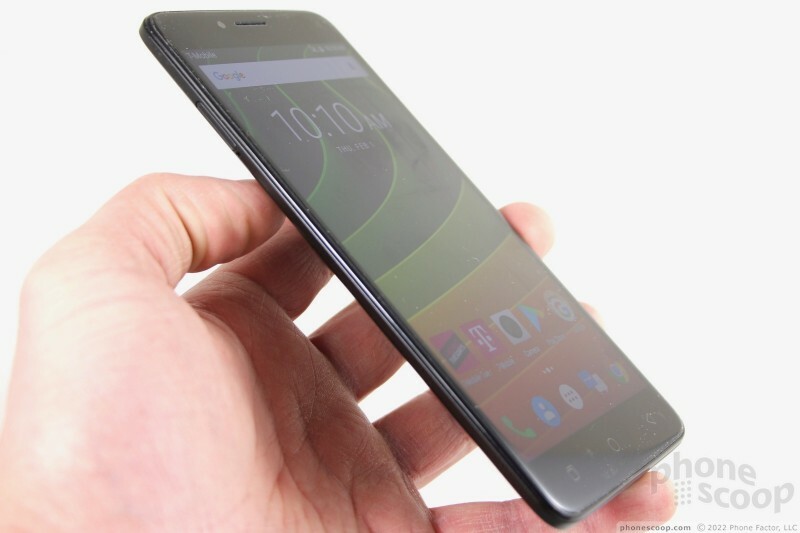 The Revvl's face looks similar to some of ZTE's giant slabs. Huge bezels surround the 6-inch screen. A chunky forehead holds the user-facing camera and earpiece, while the Leno-sized chin contains capacitive controls for app-switcher, home, and back, in the order of Samsung devices. The buttons are flush with the glass and only their backlight calls out their location. I found them to be responsive. The tray for SIM and memory cards is the only element that interrupts the otherwise smooth plastic of the Revvl's left edge. I had no trouble popping it out with a SIM tool. It handles both a microSD and nano SIM card. The tray is sturdy. You'll find the screen lock button and volume toggle on the right edge of the phone. Not only do pink accents call these buttons out visually, but the keys have excellent profiles. You can't miss them as you run your thumb up the edge. The screen lock is the lower of the two. Travel and feedback is pretty much perfect. I like that the volume toggle is long, as this makes it easier to ensure you raise/lower the volume when you intend to. It also has great travel and feedback. 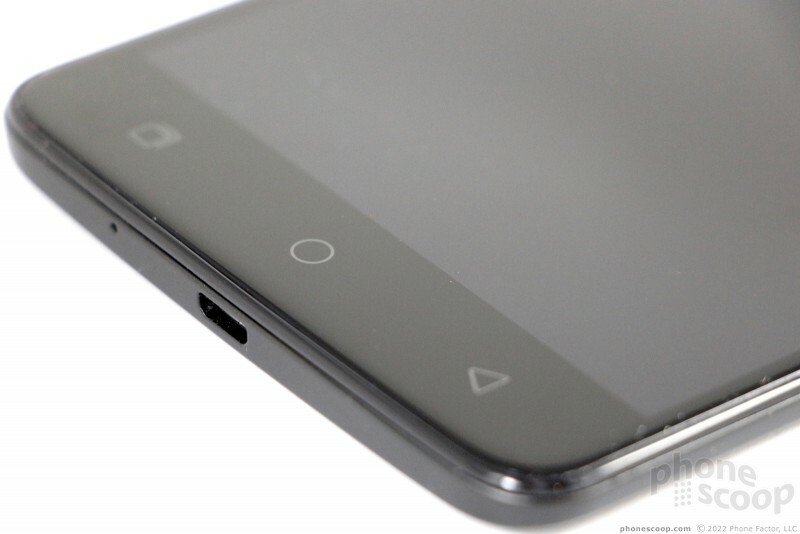 Like many phones, the Revvl Plus has a standard 3.5mm headphone jack on top and a microUSB port on the bottom. Inexpensive phones have been slow to adopt the modern USB-C port and the Revvl Plus is yet another that hasn't. The handset is not waterproof, nor is it rugged. The expansive rear panel is bowed slightly side-to-side. I like that it has a fine cross-hatched pattern carved into the plastic. It sounds like a zipper if you drag your fingernail across the surface. 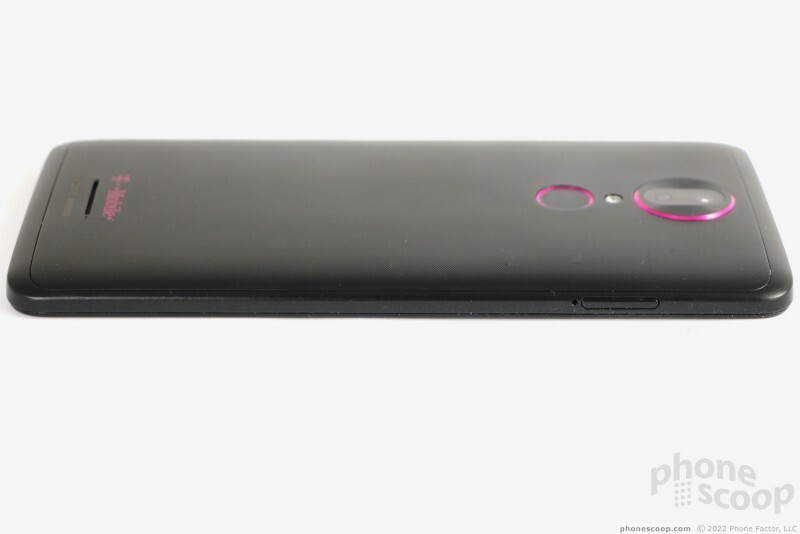 The camera module — accented in pink — is raised a bit, and the glass that protects the two lenses is quite reflective. The single LED flash is tucked into a recessed cavity below the camera module. 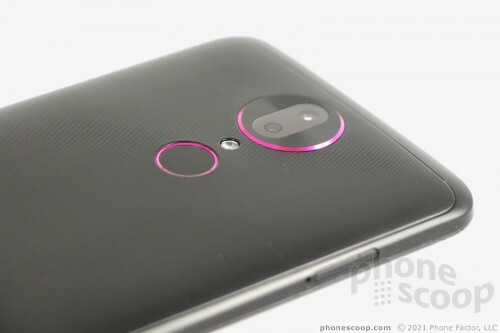 The fingerprint reader, also rimmed in shiny magenta, is a smaller circle about where you'd expect to find it. I like that the reader is indented. It's very easy to find and use by touch. You cannot remove the rear panel at all, and thus neither can you remove the battery. 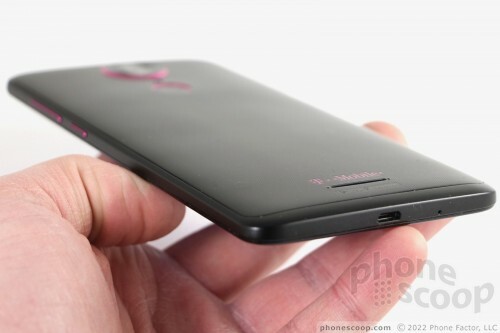 A small slit at the very bottom edge of the rear panel is where you'll find the speakerphone. In all, the Coolpad Revvl Plus is a massive piece of hardware that is well-assembled. 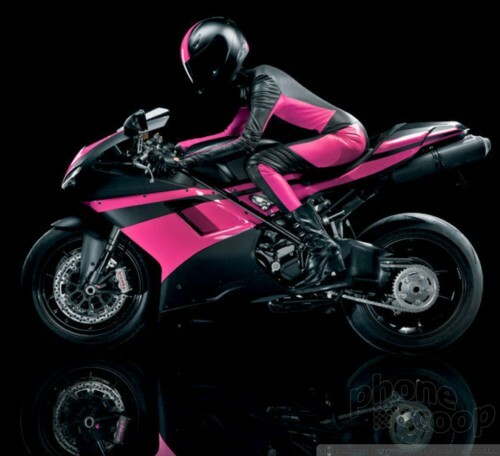 The black with magenta accents reminds me of the motorcycle-riding version of Carly, a former T-Mobile spokeswoman. The Revvl Plus has a 6-inch screen with full HD (1080p) resolution and the traditional 16:9 aspect ratio. The display is bright, colorful, and accurate. Pixel density is (just) good enough at this size. The display is really good for watching videos, or multitasking with two apps in split-screen mode. Viewing angles are average for an LCD screen. There's no color shift, but the screen will go dim when tilted. Brightness is generally fine, but visible fingerprints often get in the way when outside. The Revvl Plus isn't a good option for VR thanks to the resolution and LCD technology. Also, it's too big for most VR viewers. I tested the Revvl Plus around the New York City area and found it performed on par with other T-Mobile phones. 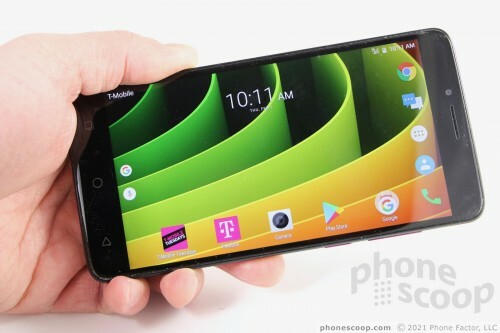 The Revvl Plus held onto T-Mobile's LTE network everywhere I took it. The phone connected nearly all calls on the first dial and only dropped one on the highway while I tested it during a long drive. It was able to hit respectable data speeds under a variety of signal conditions. I didn't run into any trouble streaming music over the network, but watching HD YouTube videos via LTE sometimes generated buffering issues. Browsing the web and content-rich social media apps worked well enough. The Revvl Plus is an exceptional voice phone. The earpiece delivers clear voices with gusto. I was able to enjoy conversations at home and in the car with the volume set to medium levels. I had to turn it up just a bit when walking city streets or working in a bustling coffee shop. High volumes introduced only the smallest amount of distortion. People I spoke to through the Revvl Plus said I sounded "really clear." The speakerphone impressed. It offers clean, punchy tones at reasonable volumes. I had no trouble using the speakerphone in my home office. Cranking it up will impact quality some, but you can easily understand calls in a moving vehicle. Ringers and alert tones got my attention 100% of the time. The vibrate alert never failed to be noticed. 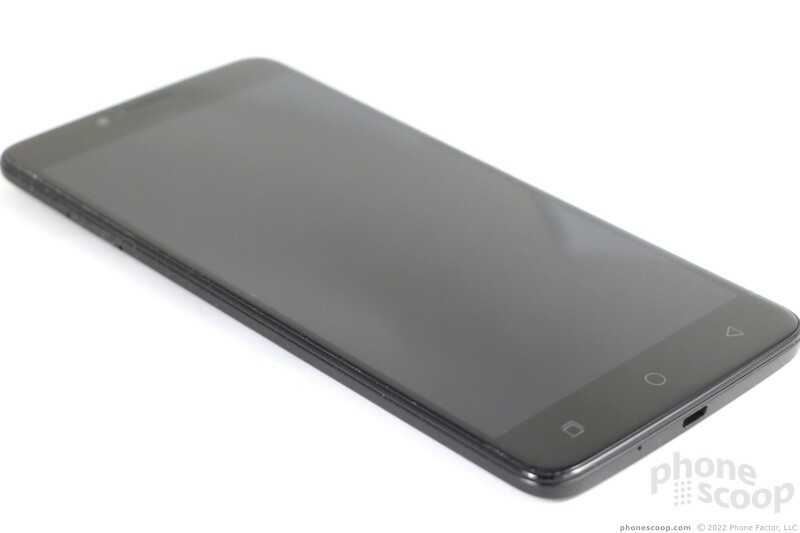 Coolpad crammed a somewhat large 3,380 mAh battery into the Revvl Plus. This leads to a phone that lasts all day and a bit more. Despite the ginormous screen, the Revvl Plus doesn't require much power to push it from breakfast to bedtime. 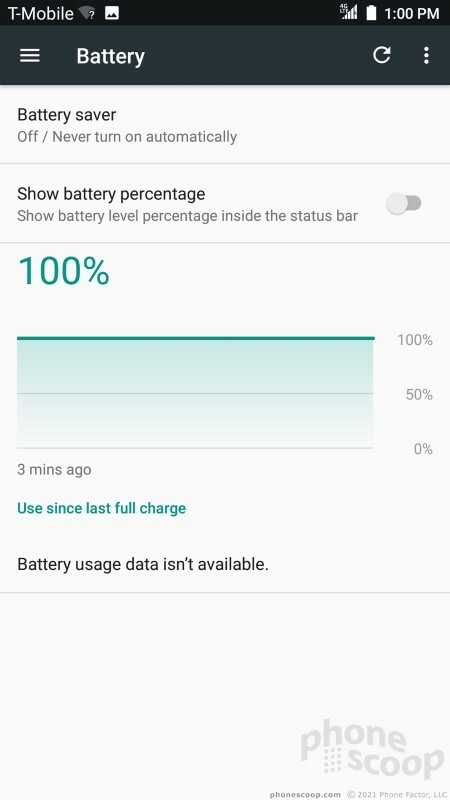 I consistently found the battery had 25% or more capacity left at the end of the day. I was able to go about my business from morning through night and not worry. You will probably want to charge the phone each night, but you'll be good for a few hours on Day Two if you forget. 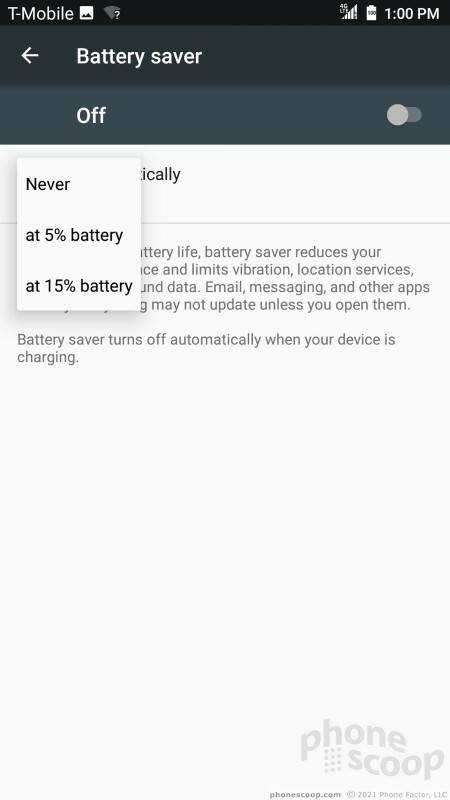 The phone includes the basic Android battery saver tool, which can be set to come on automatically or toggled on/off whenever you need. It helps a little bit. 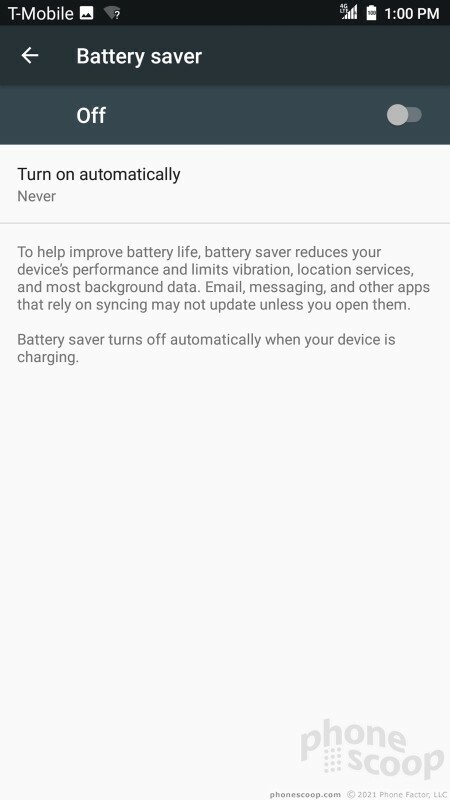 The phone does not support rapid nor wireless charging. Shame. The Revvl Plus' Bluetooth radio functions well enough. The phone paired with a range of Bluetooth accessories, including headsets, speakers, and computers. The device delivered average quality calls through headsets and my car's hands-free system. Music sounded just okay via Bluetooth speakers. Together with Google Maps, the Revvl Plus was able to field my general location in several seconds. It took closer to 10 seconds to truly lock down my exact location, and accuracy averaged about 25 feet. That's pretty good. Google Maps worked well as a driving navigation tool, but it sometimes lagged my real location when traveling at highway speeds. 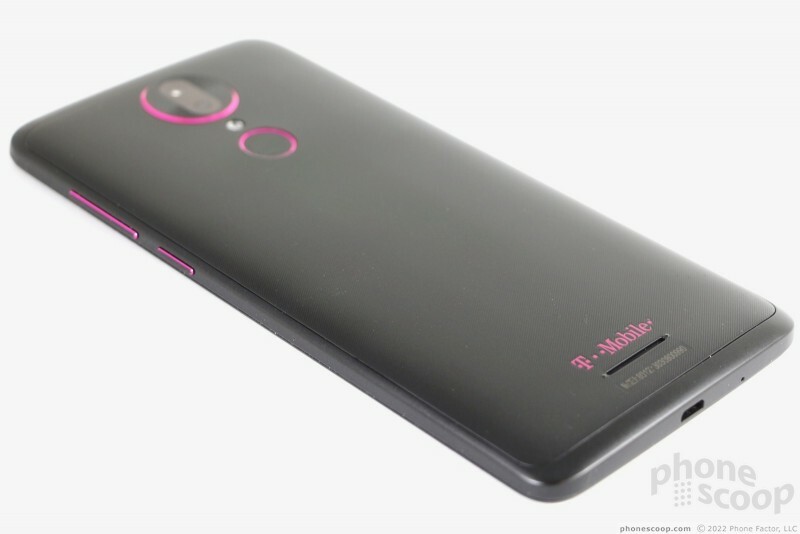 T-Mobile's relatively new REVVL brand is all about affordability and popular features, like large screens and fingerprint readers. The REVVL Plus is the second in the series, made by Coolpad. 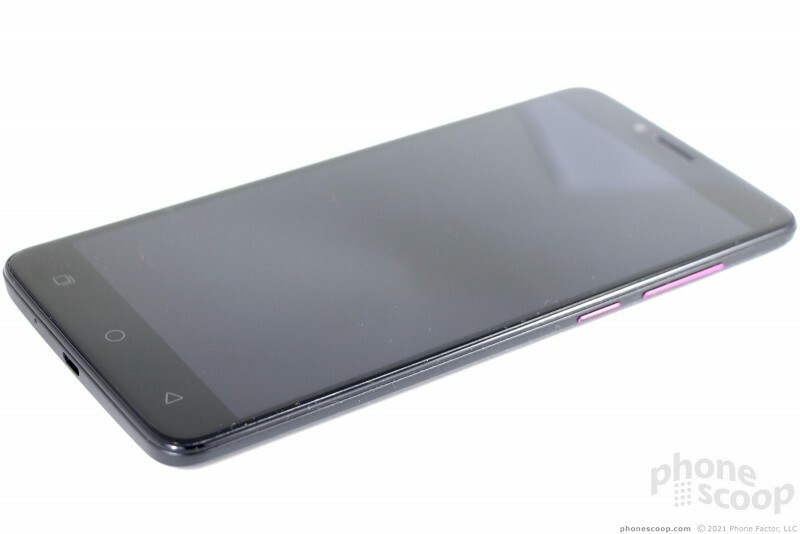 The Revvl Plus, made by Coolpad, is the latest smartphone to carry the T-Mobile brand. This big brother to the Revvl offers big features at a small price. I have tried to download a different style font than what this phone comes with and I find that it does not allow the download to connect to the system. Am I doing something wrong or is their something I am "NOT" doing to make this happen. Can someone tell me how to do this so I change the "font style" that is on this phone God it is soooooooo boring to look at the style it comes with. Thanks for the help !! !